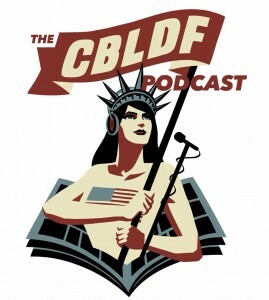 CBLDF Podcast BONUS EPISODE, featuring NEIL GAIMAN! To celebrate today’s launch of CBLDF Defender, we’ve uploaded a bonus episode of the CBLDF Podcast! In this episode, we speak to author and CBLDF Advisory Board Co-Chair (as well as CBLDF Board of Directors Alumnus) Neil Gaiman! Neil is one of the most popular authors working today, a ground-breaking graphic novelist, a humanitarian deeply involved in multiple charitable projects, and winner of the Hugo, Nebula, and Bram Stoker awards, as well as the Newbery and Carnegie medals. He has been a tireless voice for free expression over the years, and is one of the most passionate voices in the literary world when it comes to fighting censorship. We discuss: Charlie Hebdo, British censorship, libraries, icky speech, and much more!